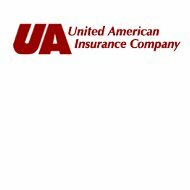 A review of American Health Insurance Company leads to United American Insurance Company. A few years ago, the company changed its name by adding “United” to the beginning. This was to make a distinction between people simply searching the Internet for information on the American health insurance crisis and those looking specifically for the company. Comparing health insurance rates will help you save money. Enter your zip code now in the free box to compare health insurance rates today! This company has been in existence since 1947. It was started in the state of Texas, but has since expanded to sell policies in 49 states and Canada. Policies sold in the state of New York are sold through a subsidiary. The company moved along steadily, providing a variety of insurance policies to qualifying individuals, with a broad focus on anyone who needed coverage. In 1966, a law came into effect that changed the focus of United American Health Insurance Company. That law was the Medicare Law. The company decided that by emphasizing policies for senior adults that qualified for Medicare, they would not only help those in their senior years, but also create a niche in the insurance industry. Since that time, United American has sold thousands of supplemental and Part D insurance policies to Medicare recipients. This has caused the company to become a leader in Medicare Supplement Insurance that is recognized on a national level by research agencies and the insurance industry itself. In taking on the Medicare market, United American did not leave behind its other customers. They still write policies for non-Medicare individuals. It just means that they spend a large portion of their marketing budget on senior adults and they hire many agents who are familiar with the sometimes-confusing world of Medicare supplements. United American Health has been rated for over 30 years by the independent rating company A.M. Best. Through those years, the company has consistently received an A+ rating. This rating is considered a superior rating. What it means in layman’s terms, is that United American Health Insurance Company has been found to be financially stable and retains assets that total more than the policies they hold. Their financial category that United American falls into is in the $250 to $500 million range. This does not mean that they have this much money in cash. It means that all their assets total somewhere in this range. It may seem like a lot of money, but the key is that this amount is higher than the amount of policies that are held. For example, if an insurance company has $200 million in policies and has $150 million in assets, it is not a financially stable company. If all $200 million in policies were claimed in a short time period, the company would not be able to pay all policyholders. Investing is the main way that insurance companies increase their assets above their policy amounts. For more than 60 years, United American Health Insurance Company has paid the claims of its customers as needed, in a timely fashion, and without wavering from their superior financial stability rating. Because of this, policies are sold in 49 states and Canada with confidence in the ability to help clients when needed. Even so, the status is reassessed every year. Group health insurance plans for employees and retirees of large companies called Worksite Insurance. Policies are written after assessing the individual needs of the applicant and the applicant’s family. However, in some ways the policies are one-size fits all that is just for the basic coverage. After the basics, policies are customized according to the circumstances and needs of those applying for the policy. A great feature for policyholders is the opportunity to register with United American’s website to have access to online activities that can make managing a policy easier. Registration is free and recommended for all policyholders. Through this feature, members can make payments, look at the details of their policy, make any changes to a policy, and file a claim. A great way to save money on a health insurance policy is to compare rates with several companies. Enter your zip code now in the free box to compare health insurance rates today!